Check out the helpful hints and tips from the Energy Saving Trust which will help you change your habits room by room to help you save energy, money and time. Use ethical banking and invest in micro-finance loans to businesses in developing countries. See Money, Money, Money for details of organisations who do this. Re-think your “bargain hunting” – someone or something will be paying the price, even if it’s not you. For example, intensively farmed food may be cheap but ultimately we all pay a high price for its nasty consequences. The polluter doesn’t pay – from the damaging emissions causing climate change and the negative impact on biodiversity, to the downstream cost to public health and wider social and cultural impacts – producers of intensive food are not financially accountable for the consequences of their farming systems. You can find out more about “true cost accounting” here. When thinking about what charities to give money to, consider how effectively they use that money. The site Giving What We Can might help you decide who to support. Buy Fair Trade so that overseas producers can plan for a future based on stable prices and use any profits to invest locally. Buy Organic – consider the way you interact with living landscapes and shape the legacy of future generations. Look out for the Soil Association logo for products that are certified organic. Consider what you are washing away down the plug-hole – choose environmentally friendly products wherever possible. Switch to an environmentally friendly energy supplier – see Utilities. Give “alternative” gifts at Christmas and birthdays, and ask guests to give you these instead of using a traditional wedding list – see Gifts for some ideas. How many drills does a street really need? Join Streetbank to share things with your neighbours and build up your local community. In fact, before you purchase anything new what about exploring sharing – Compareandshare.com is a growing web-site helping you to share rooms, bikes, cars etc. You can read more about sharing at Shareable.net. Reconnect with nature, especially if you have kids. Show them that the world is worth looking after by going on walks in Britain’s beautiful countryside and spotting birds and animals. British kids have never been more disconnected from the natural world. The roaming distance that children play from their home has shrunk by 90% in 30 years with time spent playing outside down 50% in just one generation. At the same time study after study shows time spent outside in nature increases happiness, health and well-being in kids (and adults too!). Have a look at Project Wild Thing for some inspiration and if you want to turn your children’s green fingers earthy-brown check out Friends of the Earth’s suggestions for gardening together. Make at least one day of the week a no-shopping day. God knew what he was doing when we ordained a day of rest! Do you get depressed hearing the news of horror and tragedy around the world each day? We’ve recently subscribed to Positive News and enjoy reading news stories with a difference – they are all good news! We also enjoy reading Inspire – a Christian magazine to life your spirits which I pick up at my church. It’s not that being aware of what is going on in the world is unimportant, it’s just good to get a different perspective now and then, and be reminded that there is plenty of hope if you know where to look for it. Why buy products full of many incomprehensible ingredients when you can use natural items that you completely understand. For example, did you know that there are at least 40 things you can do with honey and another 40 things you can with lemons? Most gardeners do all they can to invite wildlife into their gardens, but would you destroy the home of a family of rare wild birds or release harmful greenhouse gases into the atmosphere, just to make your garden look good? Make sure you don’t buy gardening products containing peat. Also, to help get wildlife back on its feet download the Soil Association’s simple guide to making wildlife friendly choices in your garden, from avoiding bee-damaging pesticides to providing shelter and habitats. You can read A Rocha’s Ruth Valerio’s Top 10 Gardening Tips here. 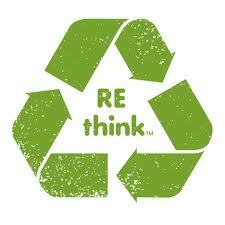 If one of your electrical goods stops working, before you recycle it why not consider repairing it? The Restart Project is a London based social enterprise which was set up to fix our relationship with electronics and help us to consume less. You can find a global map of repair groups here or you can set one up yourself. And if it’s not just electronic things that need fixing, find a Repair Cafe near you. If you want to save on gym membership what about joining a Green Gym – organised by The Conservation Volunteers you can combine your desire to improve your health and well-being while improving your local environment too. You will work up a sweat raking, planting, sanding and painting in your local park or forest, building your core muscle strength and stamina while you do it! Find one near you.